Convert Unix Mail Box automatically. You are here: CoolUtils > Total Thunderbird Converter > Convert Unix Mail Box automatically. If you need to extract messages from Unix mail storage file in MBox format, there is no better solution than Total Thunderbird Converter. 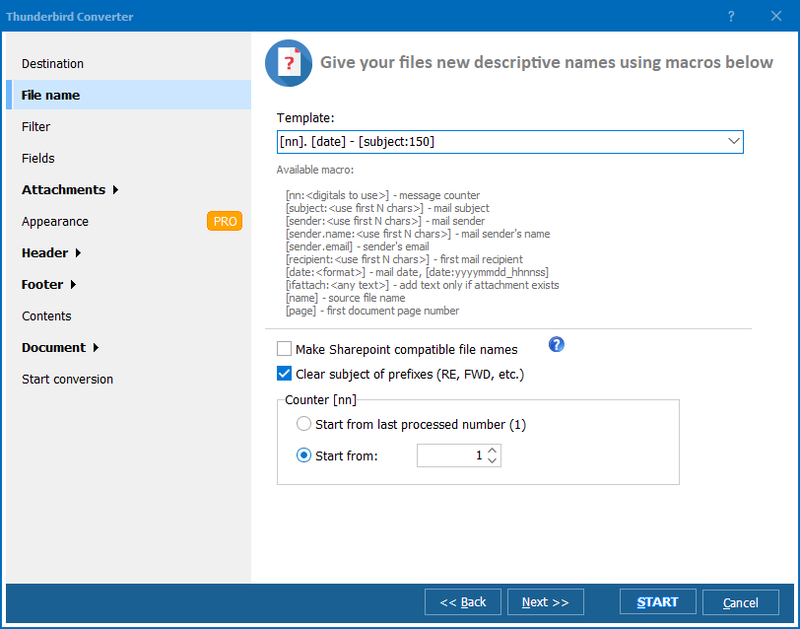 MBox format is used in Mozilla Thunderbird for storing e-mails locally. Having MBox file from your Unix system allows you extracting messages from it using this handy utility. 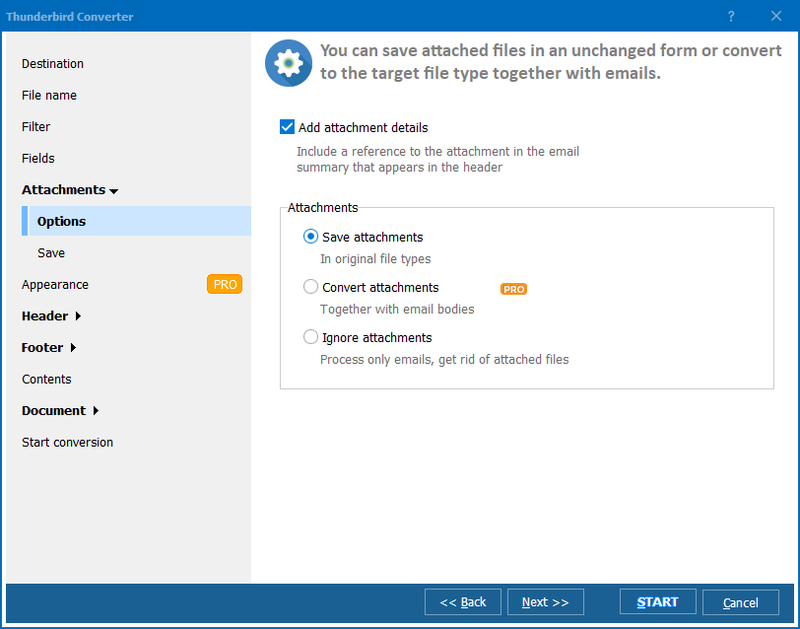 Adjustable settings make it possible to convert Thunderbird emails with specific formatting, save attachments, adjust header and footer content and do many other useful enhancements. Settings list differs depending on the chosen format. For instance, if you convert emails to TIFF, you can compress the output files to save memory space. If it is PDF, you can set specific PDF properties and secure document with the help of digital signature. All these features are packed in easy and flexible interface that helps users to save maximum of time on conversions. You don't need to do any extra actions except those that are useful for the best result. Use only the options you require, skip the rest, and get the files converted exactly as you need. 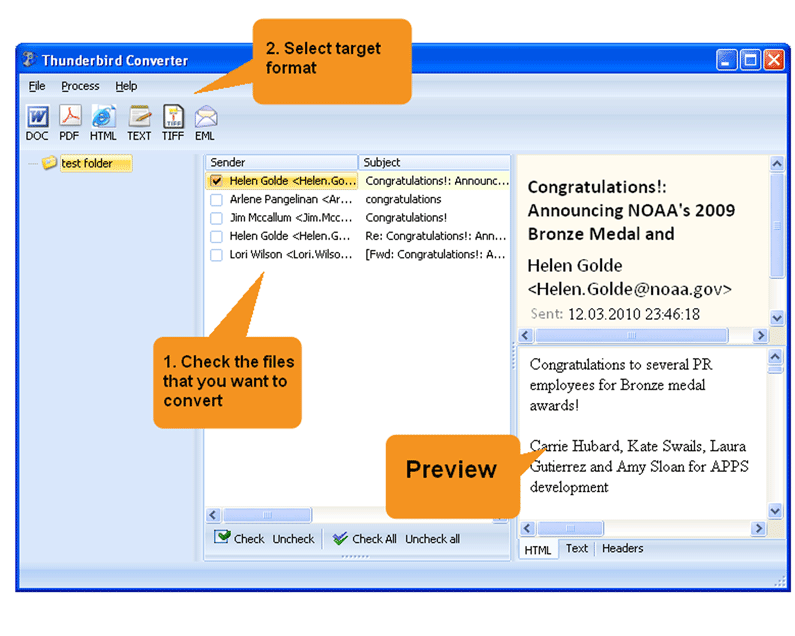 Try Total Thunderbird Converter right now, converting your MBox storage for free!